Icosahedral capsid of 300 nm in diameter. 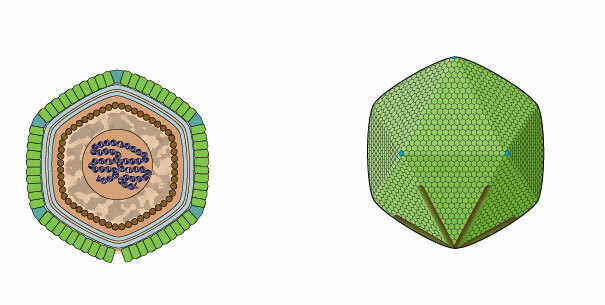 The capsid contains the internal core surrounded by an internal lipid layer. Linear, dsDNA genome of of 730kb. Encodes for 544 ORF. ETYMOLOGY Cafeteria: is the genus name of the eukaryotic host of Cafeteria roenbergensis virus.